Our independent insurance adjusters are uniquely and highly qualified within the insurance industry. They are dedicated to quality work and high degree of customer service. Our people are loyal and dedicated to our clients whether they are the Insurance Company, the Agent or the Insured. Our priority is to provide the best claims management possible with the highest level of professionalism. Thomas Isherwood has over 28 years of independent adjusting experience. Tom began his insurance career in 1988 at GAB Business Services, one of the largest Independent National Adjusting Companies. Tom began his insurance career as a multi-line claims adjuster, moved to a regional marketing position and then to a Branch Manager position responsible for Maine, New Hampshire and Vermont. His experience also includes catastrophic adjustment services. Tom developed excellent working relationships within the insurance industry in Maine and established Summit Adjustment Service in November of 1998. Tom holds a Bachelor’s degree from the University of Maine in Business Administration as well as a CPCU and AIC designation. He also was President of the Southern Maine Claims Association and the Maine Chapter of the CPCU Society. He holds a multi-line adjuster license in Maine and New Hampshire. Jeffrey Perkins has over 22 years of insurance experience. 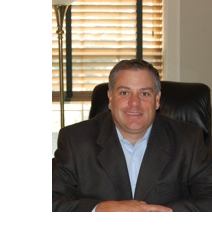 Jeff began his career in 1994 as a Workers Compensation Adjuster and then entered Property claims in 1996. His role developed from Adjuster to Property Claims Unit Leader with a large Regional Insurance Carrier. As property claims unit leader Jeff was responsible for supervising and supporting the claims activities for all Maine Claims including personal and commercial losses from small to multi-million dollar adjustments to high volume CAT’s. His depth of knowledge of the insurance industry and his business acumen has help maintain strong relationships and develop others with Independent Agents throughout our service territory. Jeff holds a Bachelor’s Degree in Business Administration from the University of Southern Maine. He holds a multi-line adjuster license in Maine since 1996. 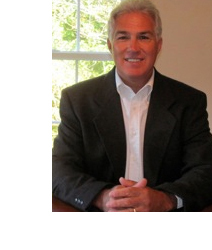 Anthony Viola, has over 30+ years of experience in the claims industry, as well as the general contracting industry. Tony began his insurance career as a multi-lined claims adjuster. Tony’s insurance background included multi-lines claims, risk management, and worker’s compensation claims management. In addition to his claims experience Tony multi-tasked by working as a general contractor. This background in general contracting gives Tony a unique value add as a claims adjuster in that he is able to thoroughly understand construction techniques and apply that knowledge to property claims. Tony joined Summit Adjustment Service in 2006 and has been a valuable member of the team. Tony holds a Bachelor’s in Business Administration from the University of Southern Maine. 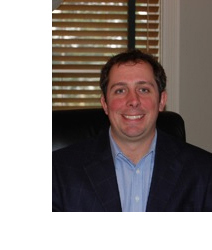 Brian Giguere, has experience both in the Insurance and the Commercial Real Estate Industries. Upon graduating from the University of Southern Maine Brian took a position with a large regional insurance carrier, as a claims associate for 8+ years. His training there included a 12 week intensive training course in multi-lines claims including: property, auto, liability and worker’s compensation claims. The Portland, Maine claims location of the insurance carrier was then moved out of Maine Brian, in turn, received his Real Estate License from the State of Maine and went to work for a large Commercial Brokerage Firm for several years. After having been in Commercial Real Estate Brian decided to return to claims adjusting, and joined Summit Adjustment Service since the fall of 2010. Brian’s background in both insurance and real estate add value to his position as claims adjuster with Summit Adjustment Service. Brian holds a Bachelor’s in Business Administration from the University of Southern Maine, a State of Maine Real Estate License and is licensed in the State of Maine as a multi-line adjuster. © Copyright 2011 Summit Adjustment Services, Inc.